Welfare Rights Committee launches campaign to “Raise the Welfare Grants” in MN | Fight Back! 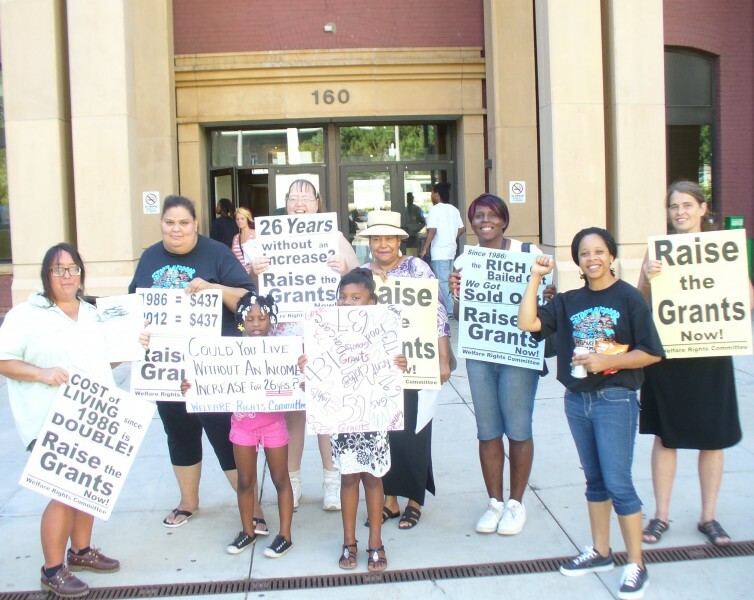 St. Paul, MN – About 20 members of the Welfare Rights Committee (WRC) gathered at the Ramsey County welfare office, July 26, to announce a campaign to raise the welfare grants in the state of Minnesota. 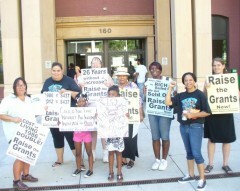 WRC members displayed signs and charts, gathered signatures and handed out fliers for the campaign’s next action. The WRC statement reads, “Welfare grants have not been raised since 1986 - 26 years ago. That means, for the past 26 years, MN politicians decided to sentence children to poverty and homelessness. The Welfare Rights Committee vows to fight for a grant increase by initiating legislation and building public awareness of the extreme poverty that families are in. “This is not poverty that ‘just happened.’ It is poverty that legislators voted for year after year,” stated Linden Gawboy, of the WRC.